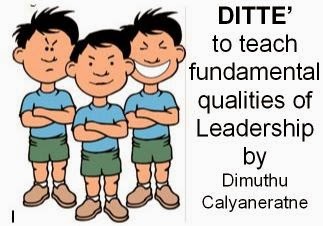 Dimuthu Nuwan Calyaneratne from Sri Lanka has kicked-off an Indiegogo crowdfunding campaign to support the development of a Board Serious Game that addresses ethical leadership qualities based on Buddhist principles: DITTE'. Intended for 10 year olds and above, the game is to be marketed locally (the population of Sri Lanka is 20 Million total and the developer’s goal is to sell 10,000 game sets at the rate of $ 10.00 each). 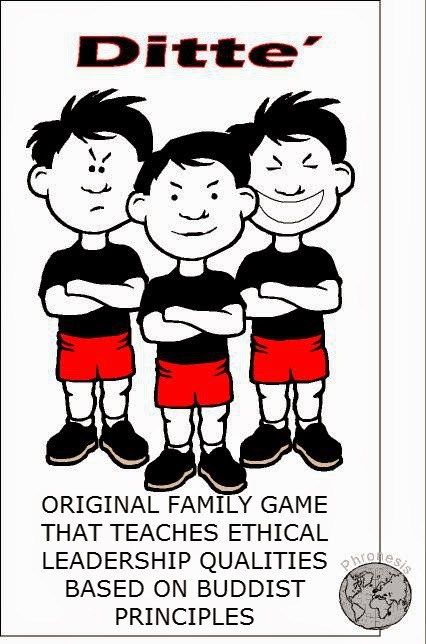 Aligned with Prof. Howard Gardner's Multiple Intelligences Theory & Prof. Nonaka's Dynamic Theory of organizational knowledge creation, the game emulates the organizational context as a household with parents and children or a classroom headed by a teacher. The developer emphasizes that the game allows players to experience duality: not only the above leadership attributes, but also what he calls the negative ones such as impatience and anger. According to Dimuthu, every game turn is a lesson in life: players enjoy the yellow card based game while building inner strength for leadership. Any number of players can play the game that ends when a player reaches the crown, representing his/her coronation. 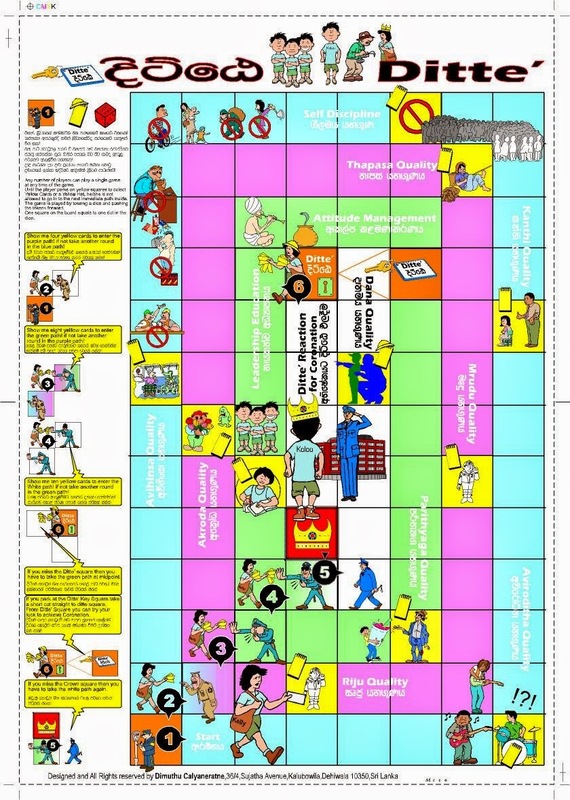 Players advance according to the values obtained when the six sided dice is tossed and activities performed based on the ten fundamental qualities of leadership (as per the yellow cards picked at the yellow boxes). Players level-up at #2 #3 and #4 “gates”, each level requiring a specific number of yellow cards they must collect. The intention is to simulate situations that make the player realize the value of ethical leadership.